Noname thinks we have pretty good weed out here. 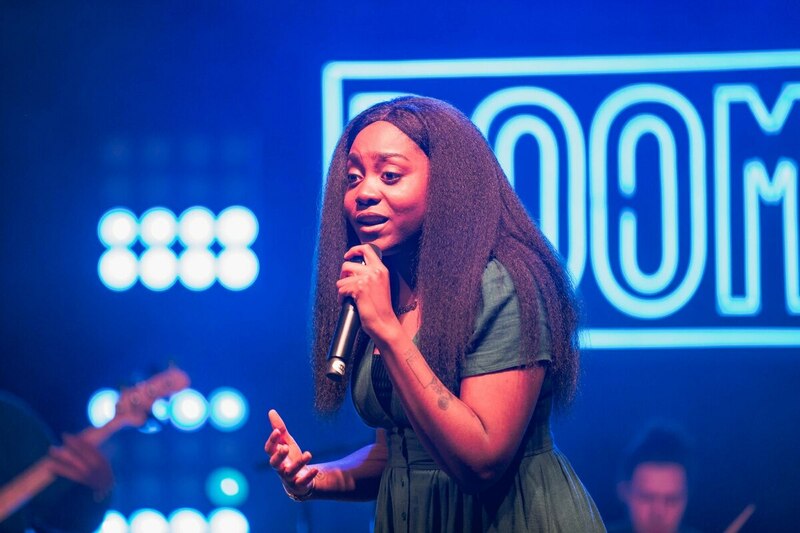 At least, that's what the Chicago rapper, born Fatimah Warner, giggled to a crowded Crystal Ballroom on March 13. 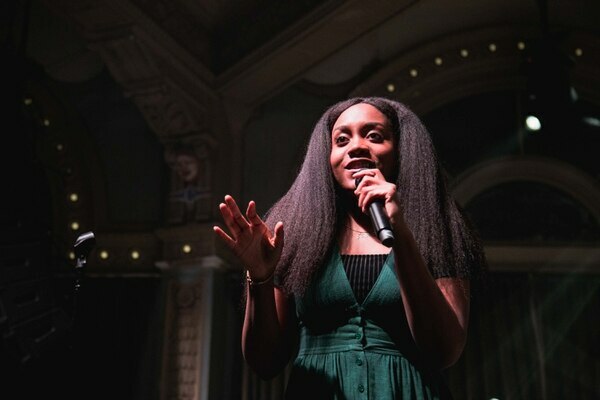 Fans of all ages sold out Noname's Portland show in support of her latest album, Room 25. Packed in like little fanatic sardines, they cheered and whistled as she joked about being "high as hell." She surely wasn't the only one. The venue's spring floors got a bit overworked that night, and opener Elton was partially to blame. His old school, Dwayne Wayne aura fit well with his trappy, indie R&B. He commanded everyone to jump around, and they did. But what Noname commanded was slightly different. In between songs, she dropped a few bars and asked the crowd to react when they heard some cunning poeticism. 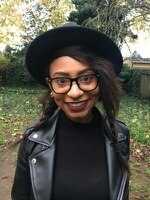 Most of the time, the crowd missed the mark, and she started the whole process over again. It happened repeatedly, and each time was painfully hilarious. 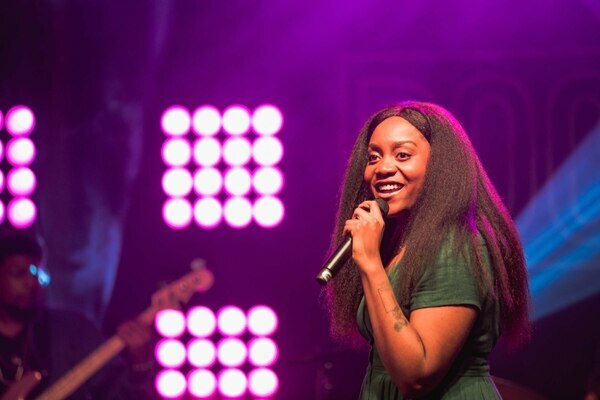 Noname's set was relatively short for a headliner, but that's something she's well aware of. 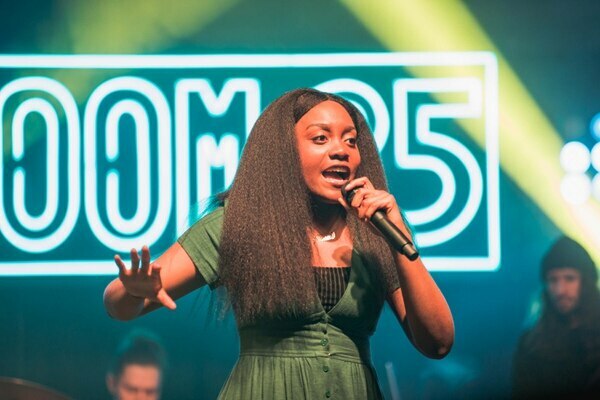 Her debut mixtape, Telefone, and last year's Room 25 are barely longer than 30 minutes each. But the material from both releases, along with her brief moments of respite and connection in between, made for an overall enjoyable set. 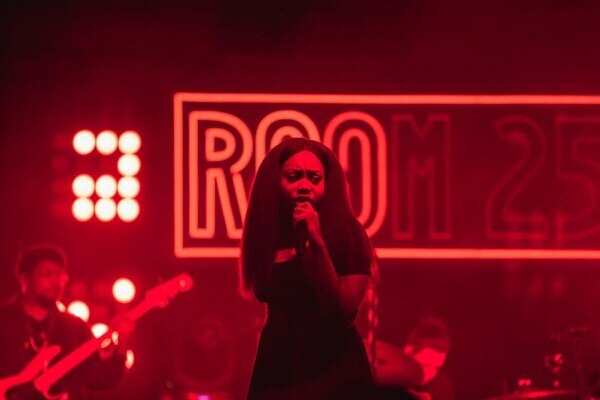 A Room 25 marquee illuminated and blinked as Noname blazed through "Blaxploitation," "Regal," "Window" and "Casket Pretty." Major shout-out to her backup singers who, with some of the notes they were fitting, could have easily been a part of a black church choir. She was on and off the stage during a solo, acoustic rendition of "Shadow Man" that served as her encore and was over in about four minutes. 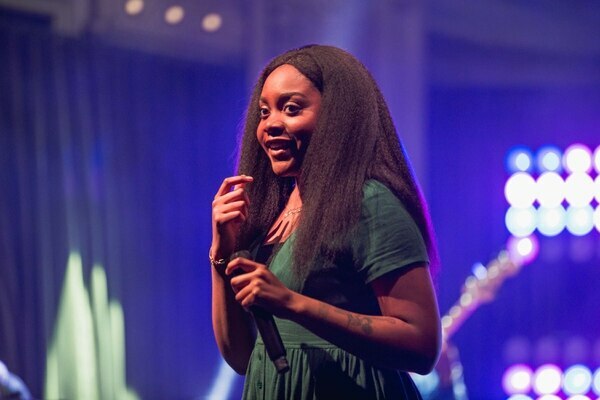 It was like Noname made a quick guest feature in all of our lives, but we'd gladly welcome her back for many more spots.